Before our family became one of the 6 Australian families per day that experience a baby’s death from stillbirth, I never knew just how prevalent this type of death a baby continues to be. Don’t get me wrong, I knew what stillbirth was; I knew that it happens, and you should monitor your baby, look for changes, be aware. I thought I knew, but I didn’t – only after the fact did I understand just how critical more information and awareness can make to the outcome of a pregnancy. So that’s why I stand and join with those are seeking improvements to policy, improvements to care and awareness that could have the potential to affect real change. We can improve how we provide information, improve clinical guidelines on stillbirths, we can provide proper and lasting care for those families that have experienced stillbirth and we can raise awareness to change the way we talk about stillbirth in the public conscious. By coming together, we can share our want to see positive progress on these issues. It doesn’t mean we, as bereaved parents, are stuck in our grief, it doesn’t mean we are wallowing in our loss. To stand up means that I have experienced something that I don’t want any other family to experience. When we know that there are very real ways that we can help prevent stillbirth from happening. We are asking those that can make a difference to prioritise those changes. It’s a truth that everything in this world is constantly changing. 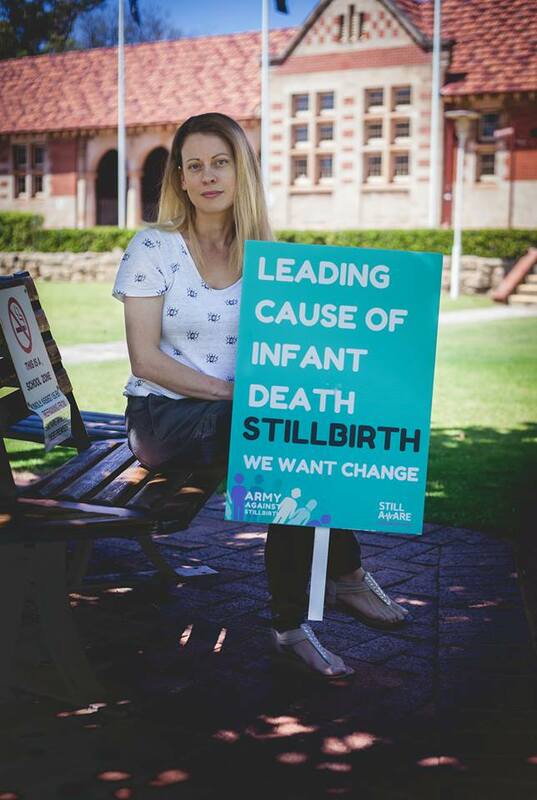 I can’t think of many things that have remained unchanged for 20 years; but to know that the statistics on stillbirth in Australia have remained unchanged for so long is disheartening. To think we live in a country that offers us so much, but could be so lagging in an area that affects so many families. I would have given anything to know more information when it matted, when it could have saved my daughter. It breaks my heart to see families struggling with no support after their baby has died. I was lucky, my support network was strong. Some people aren’t as lucky and there should be systems in place to provide the appropriate and lasting support bereaved families need. It doesn’t take much, but it takes a conscious effort to facilitate change by funding evidence based guidelines and effective after care for a start. We won’t get to see our daughter grow up, but everyone will see me as I stand up, so that her voice and her life can help others. I wish I had known, I wish I had had the tools to be better informed, it may have changed the outcome for me; it may not. At least we can stand together and make it better for other Australian families. Progress takes one step at a time, and if losing a child teaches you anything it’s that even the smallest footprints can have the biggest impact.